Heanjia can offer chemical plated or electro-plated mesh products. The plated materials include nickel, copper, zinc, silver and gold. The most commonly plated metal is nickel. 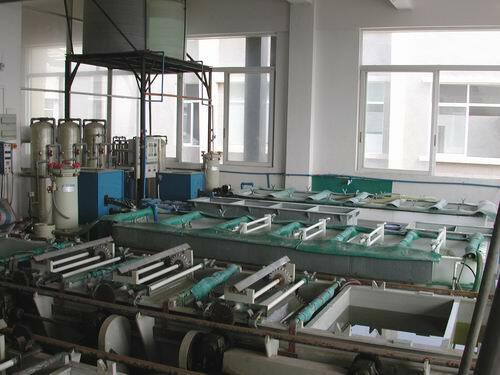 The plated mesh is available in strip coil and shaped sheet. The plating method should be selected properly. Chemical plating and electro plating have significant different outcome. Electro plating is fast and has relatively lower cost. Chemical plating is electroless plating, it offers many advantages: uniform layer thickness over most complicated surfaces, direct plating of ferrous metals, superior wear and corrosion resistance to electroplated nickel or chrome. Its plating layers are known to provide extreme surface adhesion when plated properly. Chemical plating also has lower environmental costs. However, while superior compared to many other plating processes, it is expensive because the process is complex. Moreover, the process is lengthy even for thin layers.